Although much attention has been given to the rise of evangelical and non-denominational churches in the United States, giving the impression that faith is growing in American/Canadian society, a strong argument can be made for the opposite. It seems quite clear that ideas of secularity, and the downturn of faith, are growing as well. Evangelizers, who come from a perspective of faith and pretty much hang around believing people, may have a hard time understanding the secularity of the world with which we are engaged. Fr. 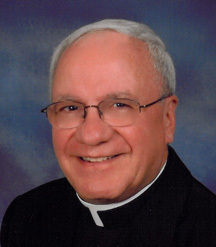 Ken Boyack, in Evangelization Exchange March 2010, reported on the rise in the numbers of people who respond “none” when asked to identify a faith in religious surveys. This number is now 15% and more than likely will grow. I have been reading (or, perhaps better, trying to read) Charles Taylor’s massive book, A Secular Age. It is not an easy book to read; it follows up insights begun in his earlier, equally difficult, book, Sources of the Self, which studied how modern people have come to think about themselves. Over the next few newsletters, I hope to put forth some of Charles Taylor’s ideas as a way of broadening our understanding of today’s situation. 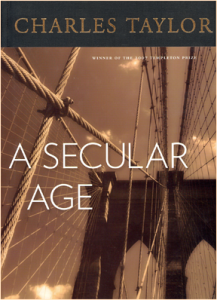 Taylor brings a lot of intellectual investigative work to the table, showing how widespread have been the sources of secularity in our age. His starting point is, in itself, remarkable. He wants to work on a very specific meaning of secularity; something well beyond the idea of the separation of church and state. Rather, his project goes like this: why was it that 500 years ago everyone assumed there was a God, even if some were particularly inimical to faith or religion, and today it is perfectly possible for large numbers of people to live their lives without the thought of God or without feeling a need for transcendence? The popularity of the “new atheism,” espoused by certain widely-read authors, undoubtedly comes from threats perceived to arise from religion. The events of September 11, 2001, have the potential to make all believers look like dangerous fanatics. But this atheistic thrust surely is riding a much larger wave, one that goes back deeply in Western European history, one that Taylor is trying to expose. Apart from this “new atheism”; we evangelizers should be pretty alert to how widespread secularity has become in the assumptions of modern people. After all, it is they whom we are trying to address.